I have seen a lot of the Cajun/Creole type documentaries that have been released over the years but I have never seen this Creole Music and Culture in Rural Louisiana video which was very interesting. Folklorist Nicholas Spitzer did a great job of capturing the interesting perspectives of the artists and Creole community from it's evolving roots not that long ago. 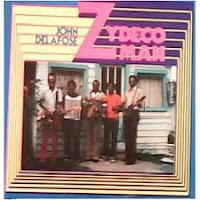 It is so interesting to see John Delafose many years ago in his prime and Geno his son playing the washboard and drums at some of the dances with his daddy. Geno Delafose is playing this year at the Gator By The Bay festival in San Diego for the first time! Click on the following link below to view the documentary and for more information on the film. The last place on earth I would have ever expected Zydeco to show up is in Japan but thanks to the Zydeco Kicks they are helping to feed the frenzie. What is amazing is the talents of the accordion player in being able to learn and play the Zydeco tunes as it's not like he can go down the street to get lessons! The Zydeco Kicks is lead by Yoshitake who has made several trips to Louisiana as they have been playing for seveal years in Japan. 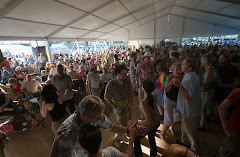 It is also intersting to note that they love the music but nobody knows how to dance Zydeco so they just party on with their freestyle dancing. Zydeco Kicks has a web site at the link below and of course he has his CD available as well as t-shirts. I think I will need to get one of those shirts for 1500 Yen.